At first, they assumed the update wouldn't make a big difference — just a refinement of the numbers. But when a state lab reran the analysis of a DNA match from a murder case about to go to trial in Galveston, Texas, it discovered the numbers changed quite a bit. Under the old protocol, says defense lawyer Roberto Torres, DNA from the crime scene was matched to his client with a certainty of more than a million to one. That is, you'd have to go through more than a million people to find somebody else who'd match the sample. But when the lab did the analysis again with the new protocol, things looked very different. "When they retested it, the likelihood that it could be someone else was, I think, one in 30-something, one in 40. So it was a significant probability that it could be someone else," Torres says. The change didn't affect the outcome of that case because there was other evidence against his client, but officials in Texas have just begun the process of correcting the mistake. "We have to go back and identify which of those cases involved DNA mixtures where the lab may have given incorrect results," says Jack Roady, the district attorney in Galveston. "It's going to be a herculean task, but we're gonna do it." Roady has been cooperating with the Texas Forensic Science Commission on fixing the problem, and he recalls the scene in September when he described the situation to a meeting of his fellow prosecutors. "There was sometimes moments of collective gasps," he says. "The fact that this science may not have been done correctly in the past gives us great pause." It's unsettling to find out DNA analysis can vary like this because it threatens to undermine the deep faith people have placed in the technology. "And it's not faith they should not have had to begin with," says Keith Inman, who teaches forensic science at California State University, East Bay. Inman has worked with DNA evidence since the 1980s. He says forensic DNA-matching is based on sound science, but sometimes labs can get ahead of themselves. What happened in Texas, he says, is that labs have been using cutting-edge "testing kits" that can extract tiny traces of DNA from crime scenes, but those samples were then analyzed with math that's not suited to "weak" samples that combine DNA from many people. He says the problem isn't limited to Texas. He says the newest, best analysis method — called "probabilistic genotyping" — takes time to roll out, and that's put labs in a quandary. "There's this interim time that cases are coming up and the analyst has to do something with it, and they know by definition that there is a better approach," Inman says. Meanwhile, the justice system's hunger for DNA evidence just keeps growing. There are now police departments that have made swabbing for DNA part of their routine. "We collect DNA evidence daily," says Jim Ferraris, deputy chief in Salem, Ore. His department has taken advantage of quicker testing provided by the state lab, and he says every officer in town is now trained to collect DNA. They even swab stolen cars and burgled homes. "The doorjamb area, the point of entry — we'd swab that area," says Ferraris. "Let's say the dresser got rifled, we'd look on the handles. DNA has been folded into the fabric of what we do every day here." All that swabbing has paid off. They've found DNA links between crimes, and they've found suspects. Ferraris believes the DNA-swabbing has led to a decrease in property crimes. At the same time, these "touch samples" can be very challenging for the labs. When you take a sample from a doorjamb, the sample may include DNA from several people, in roughly equal proportions, all mixed together. Faced with ambiguous samples like that, results can vary. A lab using one method may find a match, while another lab, using a more conservative analysis, may judge the same sample to be inconclusive. In the world of scientific research, this would be seen as normal; scientific doubt is considered part of the process. But NYU law professor Erin Murphy says in the world of courts and lawyers, those doubts aren't always understood. "We have this tendency in criminal justice to look for solutions to the most vexing problem, which is, 'How do we find dangerous people and stop them?' And when we look for those solutions, we like for them to be perfect," Murphy says. Murphy has written a new book about this called Inside the Cell: the Dark Side of Forensic DNA. She says people should understand that DNA analysis can involve "subjectivity," and she worries about the tendency of juries to look past doubt. "[Juries] are even willing to go a step further and say, 'We'll convict on the basis of DNA, even in the face of evidence — non-DNA evidence — that this isn't the perpetrator," Murphy says. She has a pet theory about this. She says the public has seen other kinds of evidence discredited over the years, such as bite mark analysis and hair analysis. Even eyewitness testimony is now seen as unreliable. So we look to DNA. "I feel like we're clinging to a life raft of DNA and saying, 'Well this one will save us!' " Murphy says. "But I think that both wrongly inflates DNA's capabilities, and it also is just overlooking the part of the story of these old techniques, where they were used in our system for decades without challenge." If we now push this technology too hard — say, by prosecuting someone on nothing more than a genetic match — then DNA may also be headed for the kind of reassessment that has battered the reputation of older types of physical evidence. DNA is known as the gold standard of physical evidence in court, but it's not perfect. Officials in Texas have discovered that their crime labs might have miscalculated the probability of DNA matches on thousands of cases going back years. It's a major headache, and, as NPR's Martin Kaste reports, some experts say it shows how the justice system sometimes trusts DNA too much. MARTIN KASTE, BYLINE: When you're analyzing DNA, you have to keep things nice and clean. The labs have to be modern, roomy and secure. GARY SHUTLER: And we're going into the first part of the DNA casework lab. KASTE: This is Dr. Gary Shutler escorting us through the state crime lab here in Seattle. KASTE: And why is that? SHUTLER: You know, we don't want your DNA passed that point (laughter). KASTE: He's worried about cross-contamination. Labs like this do a pretty good job controlling their own environment, but the challenge is the messiness of the outside world. Crime scenes are especially bad. When those samples come in, they're often a mixture of bits of DNA from several people or contributors, as Shutler calls them. To demonstrate this, he pulls up the analysis of blood on a dirty dollar bill. SHUTLER: It looks like, oh, maybe three contributors here. But when you try to do the math and work on the proportion, you can't break the profile down into individual contributors. KASTE: You see, it's easy to match DNA when you're looking at a liquid blood sample or a cheek swab because you know you're dealing with material from just one person. But when the sample comes off a light switch or a doorknob or a gun, then you're dealing with DNA fragments from who knows how many people, all blenderized together. It's as if somebody took of bunch of Social Security numbers, jumbled them up, and now you have to figure out which digits belong to which person. SHUTLER: You need to mathematically account for that uncertainty. That is the fun part, I guess, of mixture interpretation or the frustrating part of mixture interpretation. KASTE: Incredibly, they often can sort this out. The techniques to do it just keep getting better, but that's also the problem. Different labs are using different approaches, and that means results can vary. One lab might find a match while another lab might call that same sample inconclusive. Or consider a recent murder trial in Galveston, Texas. DNA evidence there matched the defendant to the scene with a certainty of more than a million to 1. But then, shortly before the trial, the lab said it needed to redo the analysis. The defense lawyer was Roberto Torres. ROBERTO TORRES: And when they retested it, the likelihood that it could be someone else was, I think, 1 in 30-something, 1 in 40. KASTE: From 1 in a million to 1 in 40? Statistically, that's huge, and in a courtroom, that could easily swing a case toward reasonable doubt. TORRES: If the issue was a whodunit, it would have been very crucial. KASTE: In this trial, there was other evidence, so it didn't change the outcome. But it turns out that this case was part of a much bigger problem. Over the summer, Texas officials realized that their crime labs were using an outdated protocol for calculating probabilities on DNA mixtures. This may have affected thousands of cases going back to 1999. Jack Roady is the district attorney in Galveston. JACK ROADY: We have to go back and identify which of those cases involved DNA mixtures where the lab may have given incorrect results. And it's going to be a Herculean task, but we're going to do it. KASTE: Right before he talked to NPR, Roady had been explaining the situation to a meeting of his fellow Texas prosecutors. ROADY: (Laughter). There was, sometimes, moments of collective gasps. The fact that this science may not have been done correctly in the past gives us great pause. KASTE: It's just unsettling to find out that DNA analysis can vary like this. It threatens to undermine people's deep-seated faith in the technology. KEITH INMAN: And it's faith that they should not have had to begin with. KASTE: That's Keith Inman. He teaches forensic science, and he's been working with DNA since the '80s. He thinks some labs just got ahead of themselves. They've been using cutting-edge testing kits to find the tiniest traces of DNA in mixed samples. But then, they've analyzed those traces with outdated. He says labs now need to look at their methods and make some judgment calls on whether they been doing things right. And he says the problem likely extends beyond Texas. INMAN: What there is, is, I think, a deep - I want to pick this word pretty carefully - anxiety. I think there's anxiety amongst all the analysts. KASTE: Meanwhile, the justice system's hunger for DNA evidence just keeps growing. DEPUTY POLICE CHIEF JIM FERRARIS: We collect DNA evidence daily - daily. KASTE: That's Deputy Police Chief Jim Ferraris in Salem, Ore. His department is taking advantage of cheaper, quicker DNA tests provided by the state lab. And he says now every cop in town has been trained to swab crime scenes. And it's not just rapes and murders. They're swabbing stolen cars and even burglaries. FERRARIS: The doorjamb area - the point of entry - we'd swab that area. We'd swab the areas - let's say a dress got rifled. We'd look for, you know the handles. DNA has been folded into the fabric of what we do every day here as far as DNA sampling. KASTE: And all this swabbing has paid off. They've found DNA links between crimes, and they've found suspects. But these touch samples they're gathering from doorjambs and steering wheels are also some of the most challenging samples for labs to figure out. It's where the scientific doubt really creeps in. And that's a doubt the average layman just doesn't appreciate. NYU Law professor Erin Murphy says that's the danger. ERIN MURPHY: We have this tendency in criminal justice to look for solutions to the most vexing problem, which is, you know, how do we find dangerous people and stop them? And when we look for those solutions, we like them to be perfect. KASTE: Murphy has written a new book about all this called "Inside The Cell." She says DNA is good science, but people need to understand that even DNA can involve subjectivity. And yet, she says, juries still seem to trust it without question. MURPHY: And they even are willing to go a step further and say, we'll convict on the basis of DNA even in the face of evidence - non-DNA evidence - that this isn't the perpetrator. KASTE: She has a pet theory of this. She says the public has watched as other kinds of evidence have been discredited over the years - bite mark analysis, hair analysis. Even eyewitness testimony now looks shaky, but not DNA - not yet. MURPHY: I feel like we're clinging to a life raft of DNA and saying, well, this one will save us. But I think that both wrongly inflates DNA's, you know, capabilities, and it also is just kind of overlooking the part of the story of these old techniques where they were used in our system for decades without challenge. 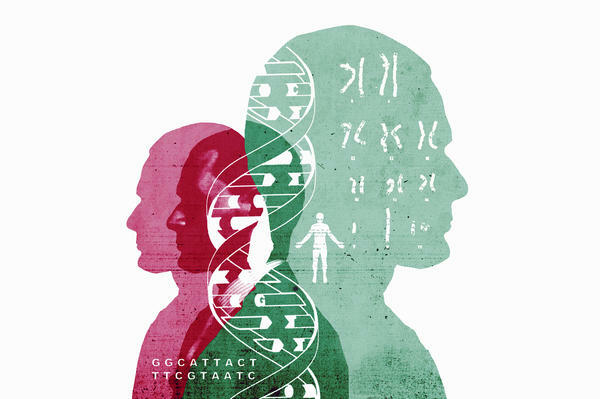 KASTE: If we now push this technology too hard, say, by prosecuting people on nothing more than a genetic match, then DNA may also be heading for the kind of reassessment that's battered the reputation of older types of physical evidence. Martin Kaste, NPR News. Transcript provided by NPR, Copyright NPR.